PHILIPPINE Azkals goalkeeper Ronald Muller has retired from international duties on Wednesday. Muller has 22 caps, playing mostly as alternate to Neil Etheridge. The Germany-born Muller made his debut with the country's Under-23 side in the 2011 Southeast Asian Games before making his senior debut the same year. "A new experience gave me a chance to see a part of my roots, teammates becames like brother! We lost, fought and won together. I had a great time, I was and will be forever proud to played for this beautiful country," Muller said in an Instagram post. "I gave always 100%. Hard decision saying 'Goodbye.' Time to take care of my own family. Thank you for the support and for all what you did to me. I will never forget this part of my life and I'm so thankful for this chance. I will always be an Azkals!" The 29-year-old Muller was originally in the 23 man line-up for their friendly with Malaysia. He will still be playing for Ceres Negros FC as they continue their run in the 2017 AFC Cup. 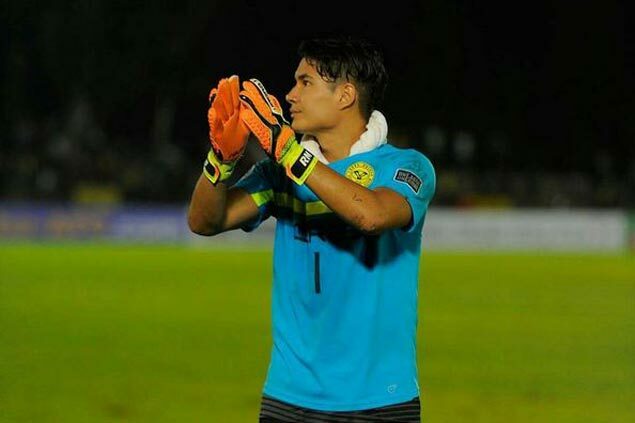 With Muller’s departure, home grown keeper Patrick Deyto is set to get more exposure in international tournaments.